Street Dancer is the title of Varun Dhawan and Shraddha Kapoor's dance film. The title of actors Varun Dhawan and Shraddha Kapoor‘s next film is ‘Street Dancer‘. The film, directed by Remo D’Souza, had been struggling to have a title for long and now Varun took to social media to reveal the name. He posted a clip unveiling the title, followed by hashtag #RuleBreakers. 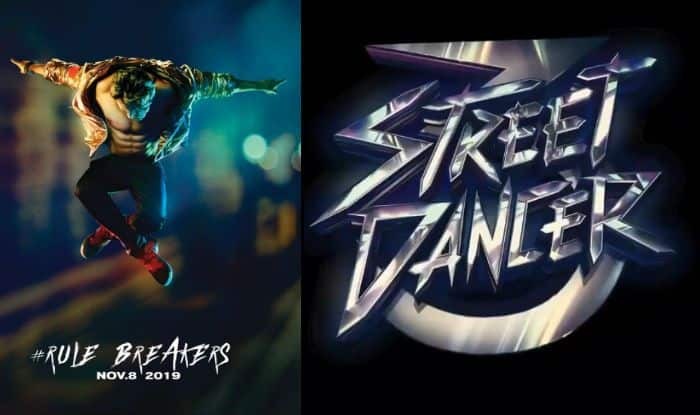 Street Dancer is slated to hit the screens on November 8 this year. Actor Katrina Kaif was supposed to star in the lead along with Varun in Street Dancer. However, before filming the film, the makers announced that she had stepped back and the hunt of a new female face was on. Later, Shraddha’s name surfaced and then Varun himself officially announced on social media that she’s indeed going to be a part of the film. Actor and dancer Nora Fatehi is also an important part of Street Dancer. The first shoot schedule of the film is finished and the team will head London to begin the second schedule. This is the third film to feature Shraddha and Varun together in the lead. Earlier, the duo was seen romancing each other and burning the dance floor in ABCD: Any Body Can Dance 1 and ABCD 2. Other actors and dancers who are going to be a part of the film are Raghav Juyal, Salman Yusuff Khan, Punit Pathak, and Dharmesh Yelande among others.